Code Club in 2014: status update! As our young coders prepare to go home for the school holidays, and we’ve set the radio to Festive FM here at HQ, we’d like to share with you some highlights of our year — it’s been an amazing one. The most important thing we’d like to say is a heartfelt thank you to everyone who supports us. Without your generosity of time, of money, and of spirit, none of this would have been possible; you’re coding heroes. Happy holidays from everyone here at Code Club, and here’s to an equally brilliant 2015! During 2014, Code Clubs have been created in a further 750 schools in the UK, bringing the total number to 2150. We’re working hard to ensure children from all regions and backgrounds have access to Code Club – at the moment the regions we’re strongest in are the North West, East Anglia, London and the South East. With an average of 14 children per club, Code Club is currently reaching around 30,000 children — including 12,000 girls. We hope these girls will continue their Computing journey in secondary school and that this will help close the GCSE and A-Level Computing gender gap. We made our projects publically available in March 2014 so that parents and children the world over can easily access our materials. Since then they have been viewed over 40,000 times. We have also improved and expanded our curriculum materials; a new “challenge based” pedagogy has been established and new materials have been produced for learning Python and Scratch. WHAT ELSE HAS BEEN GOING ON AT CODE CLUB THIS YEAR? We hired new members of staff to help grow Code Club all across the United Kingdom, including part-time Regional Coordinators to support the Code Club community in key areas. We held 30 meet-ups up and down the UK where we’ve brought together volunteers and schools that are currently involved and welcomed newbies into the family. We have been working with Samsung to open Regional Hubs throughout the UK, starting with the North West and London (Newcastle, Cardiff and Birmingham to follow); these Hubs will host a regular club and volunteer training sessions we are planning for 2015. We have established a network of Star Clubs all over the UK as models of good practice, which give potential volunteers the chance to see a club in action before they get started. In the next year, Code Club will accelerate our growth to double the number of clubs in the UK – expanding our team to include full-time Regional Coordinators, partnerships and training roles. We will launch our online training for volunteers to make sure they are prepared and confident to run a club, improve our website and user experience and create lots more exciting projects for children to complete in our clubs. Code Club Pro was set up in January 2014 to provide computer science training and resources to primary school teachers. They began by producing CPD materials for teachers of KS1 and KS2. They then developed a vetting and induction process for volunteers with computer science expertise. Once qualified, Code Club Pro trainers arrange and deliver CPD to their local schools. They have 170 Code Club Pro trainers fully qualified, and have trained up 99 teachers. On top of this, 310 teachers have requested training, and 408 people have applied to become trainers. 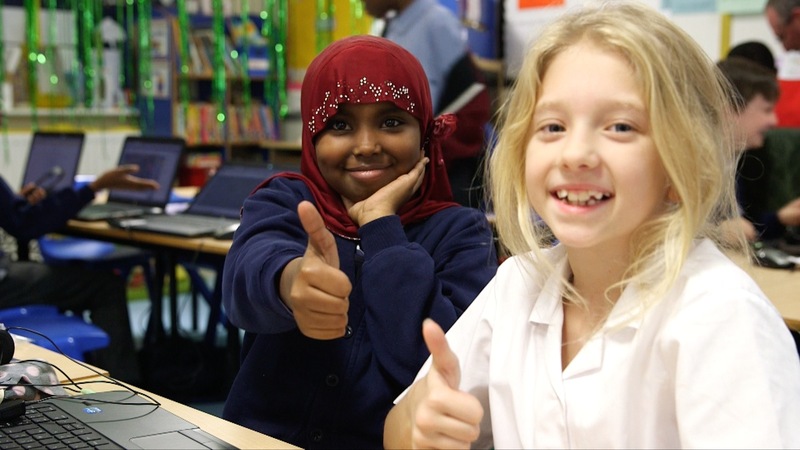 Code Club Pro secured funding from the Department for Education, and received sponsorship for schools training from Barefoot Computing, Accenture and Google. Code Club Pro aim to work with 1,200 teachers in 2015, continue to add to their CPD materials and support both trainers and teachers. Code Club World has steadily grown throughout 2014. There are over 250 clubs in over 50 countries outside of the UK with Code Club communities being created in Brazil, Canada, Hong Kong, Hungary, Israel, Italy, Kenya, Luxembourg, New Zealand, Norway, Poland, Spain, South Africa, Switzerland, Ukraine, and Vietnam. Sophie Deen was appointed Head of Code Club World in November after growing Code Club Pro from scratch; she will focus on international growth and reducing the digital divide. We aim to have Code Club communities in 50% of the world’s countries by the end of 2018.
WHO HAS BEEN SUPPORTING CODE CLUB? We’ve also had the fantastic support of a number of councils, companies and universities who have committed to increasing the number of children with access to a Code Club in their area by spreading the word to their local schools or encouraging their staff and students to volunteer.